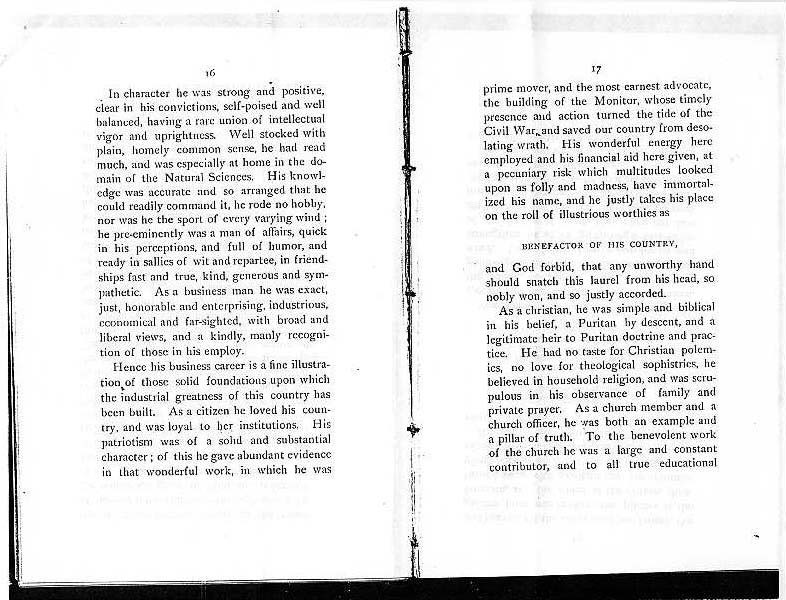 --- Biography, pages 5 through 11. 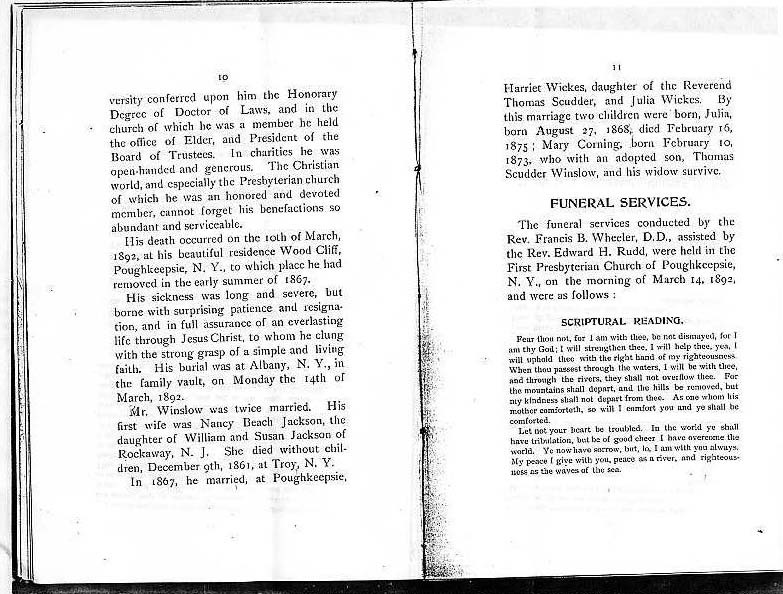 --- Funeral Services of John Flack Winslow, pages 11 through 13. 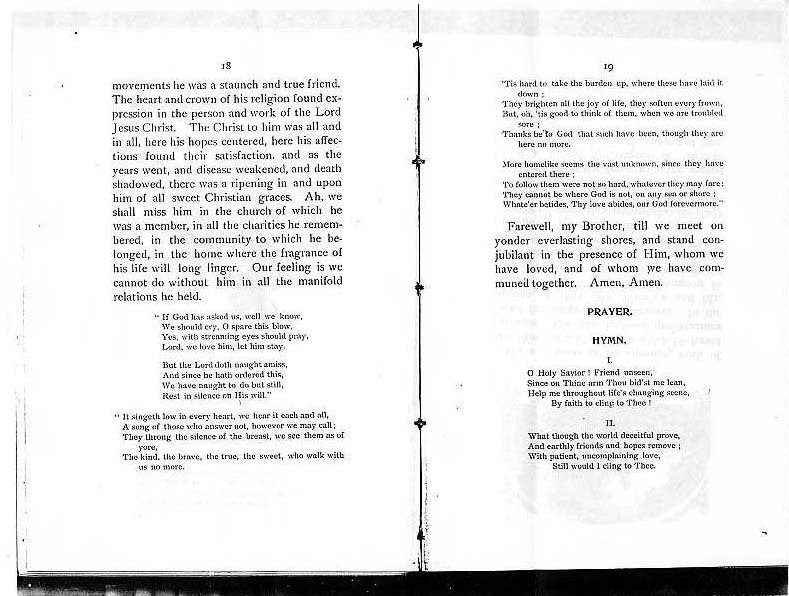 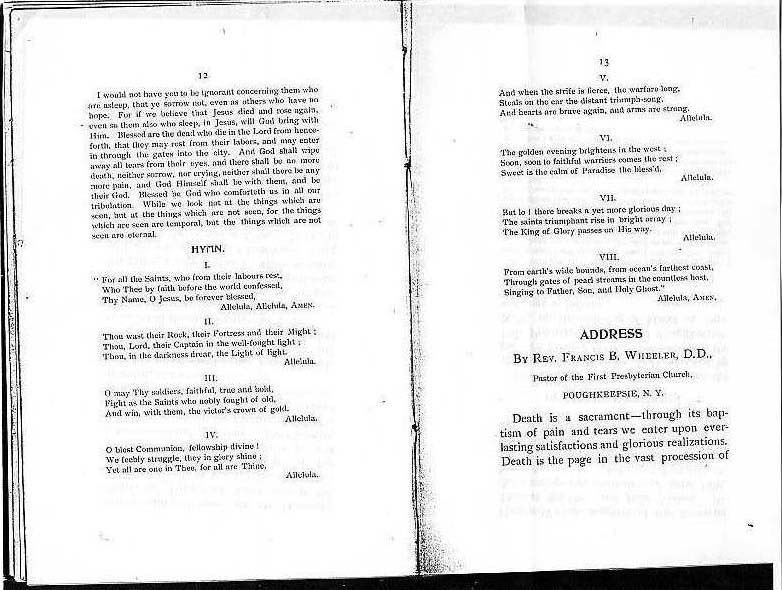 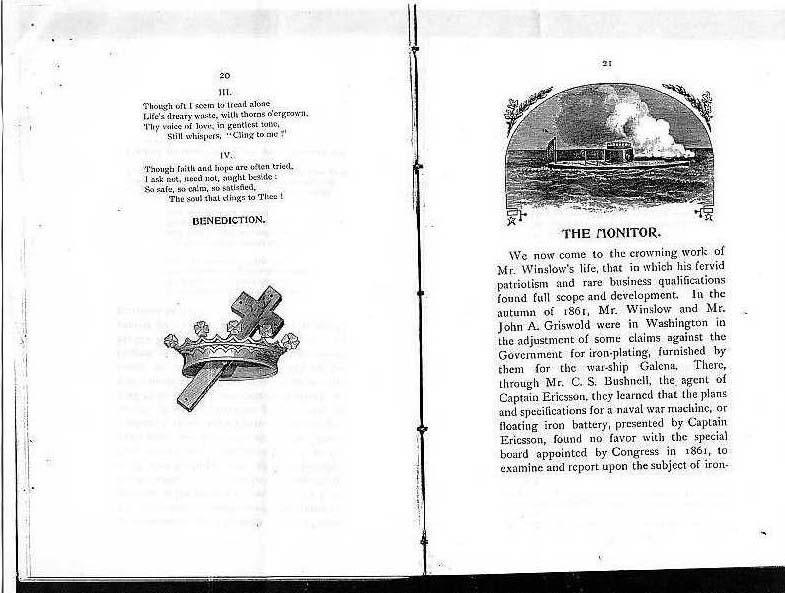 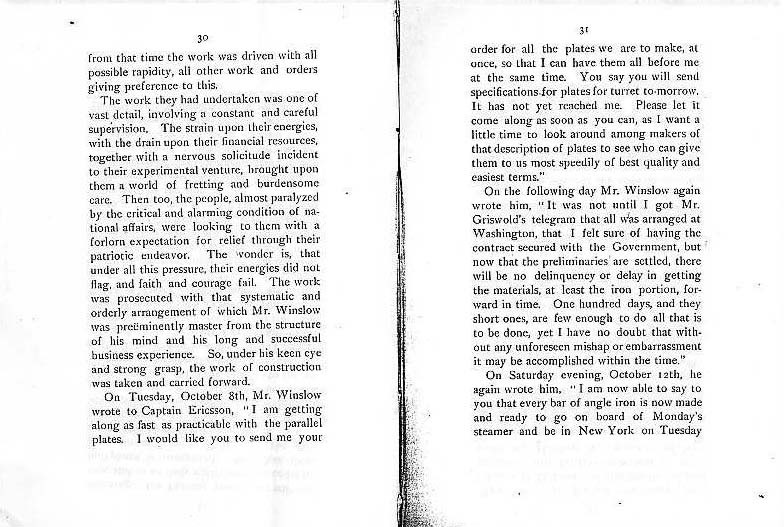 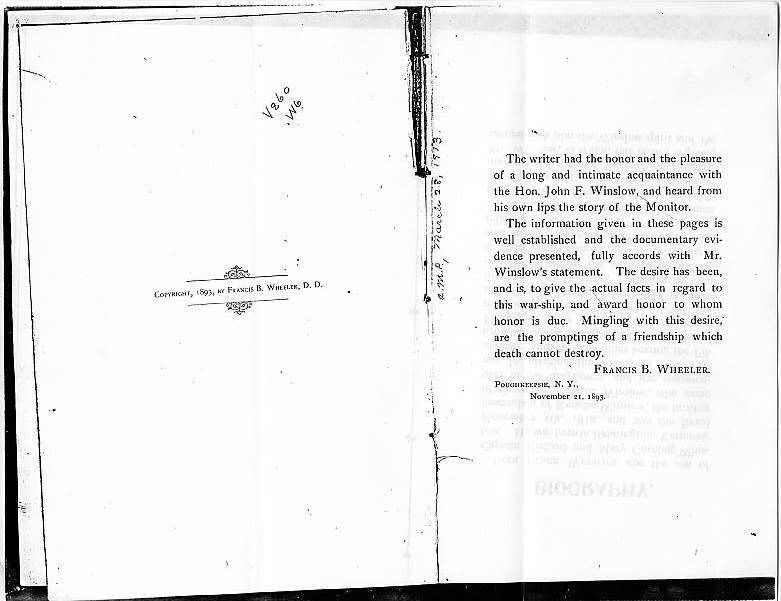 --- Address, from the Funeral, pages 13 through 20. 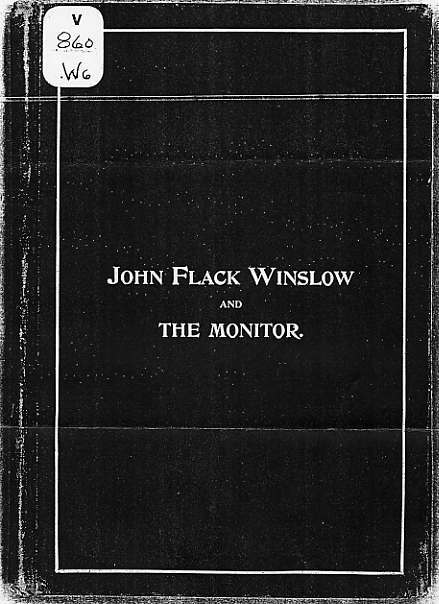 --- The Monitor, pages 21 through 66. 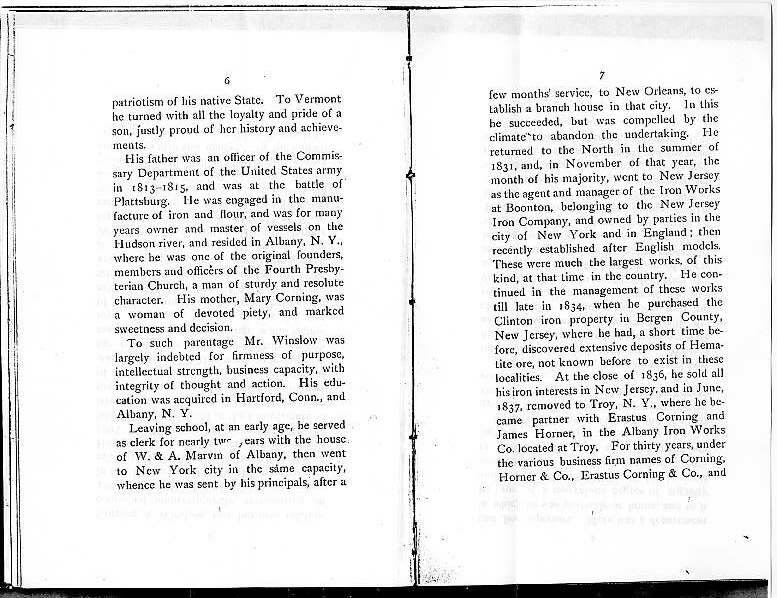 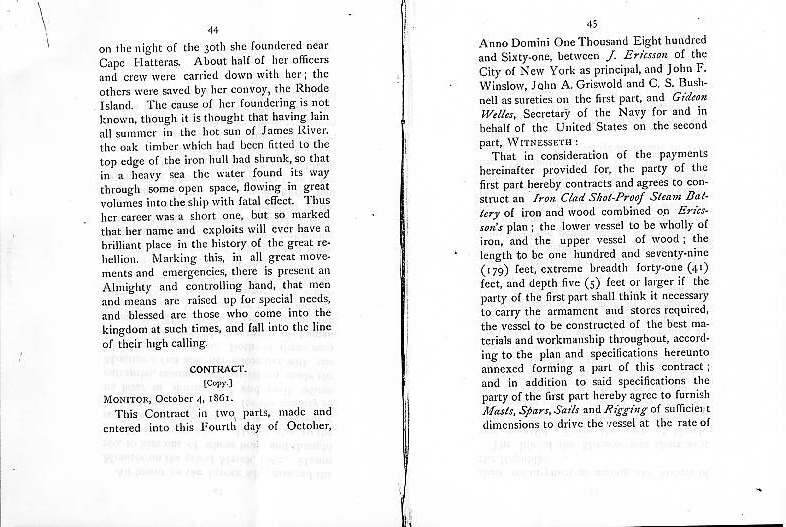 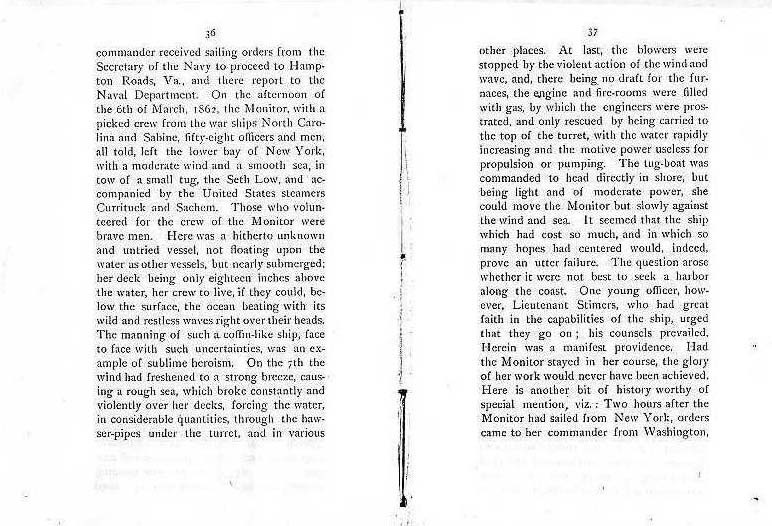 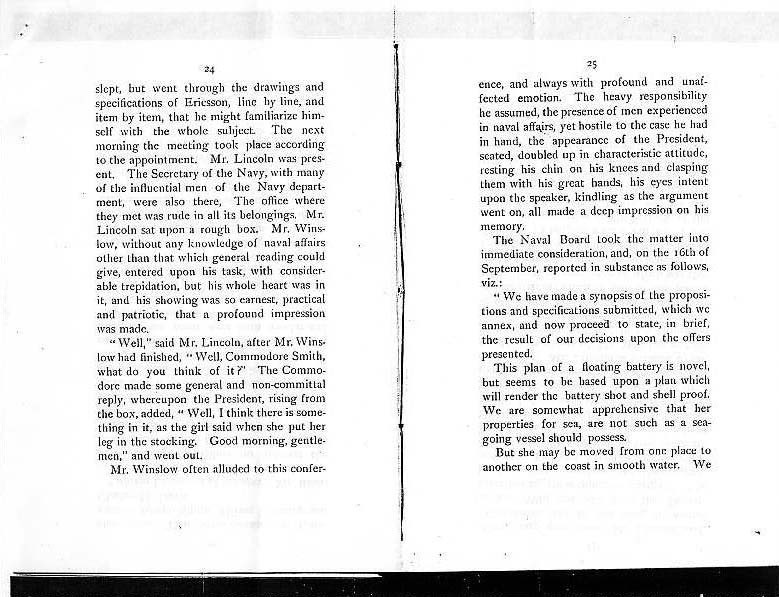 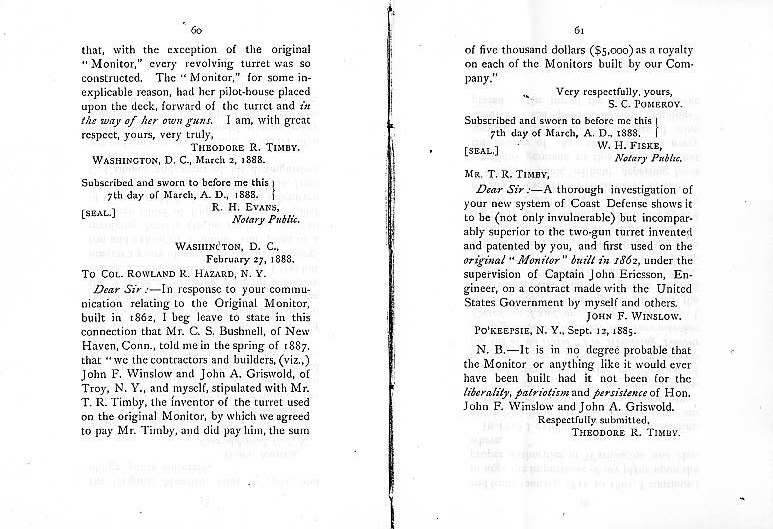 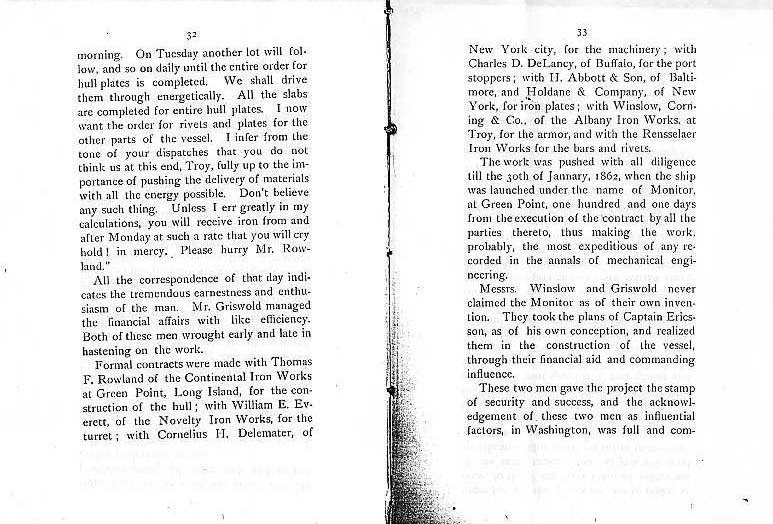 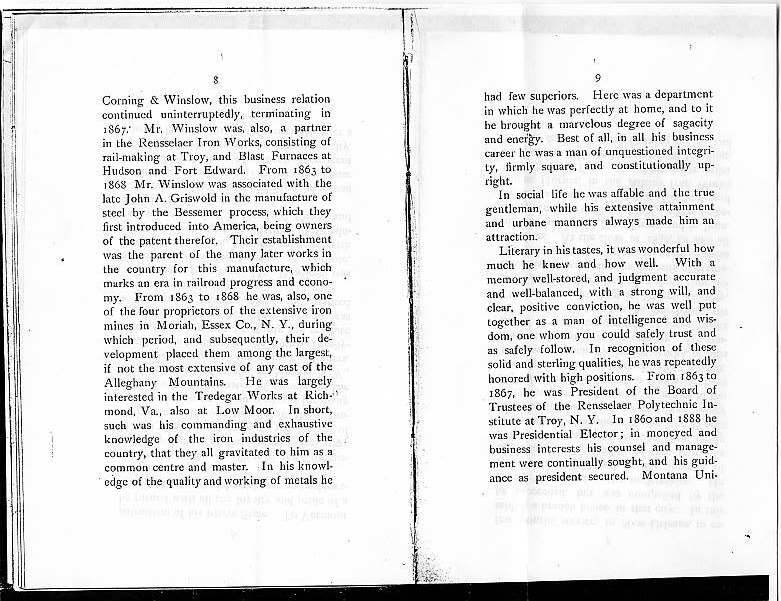 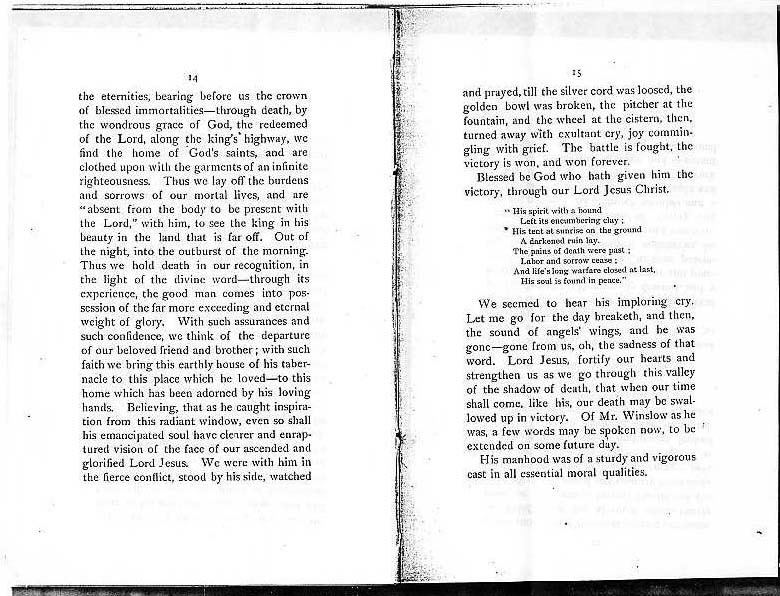 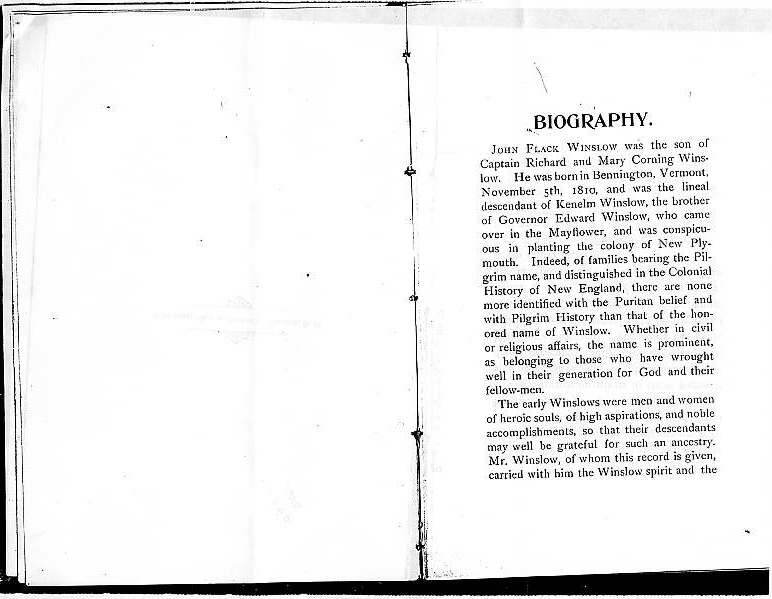 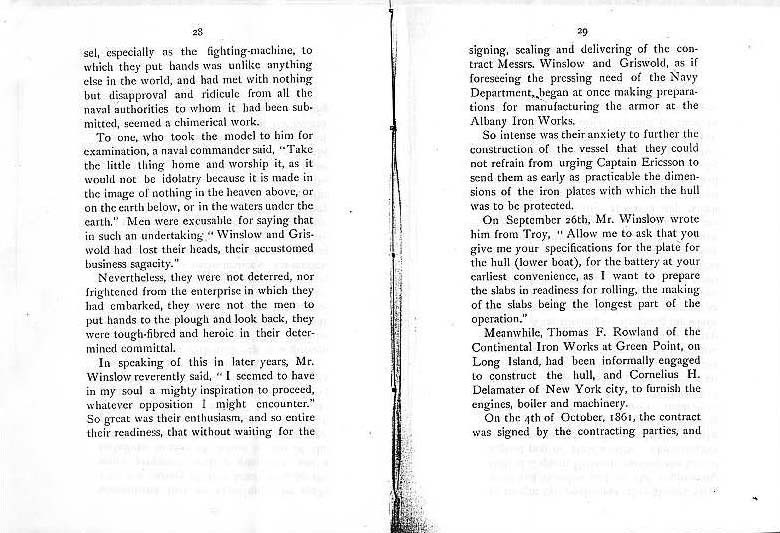 --- Reverend Wheeler's Account, pages 21 through 44. 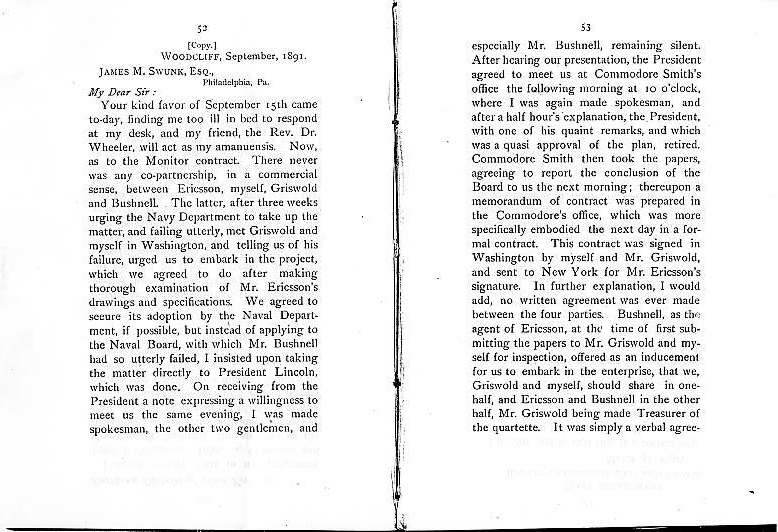 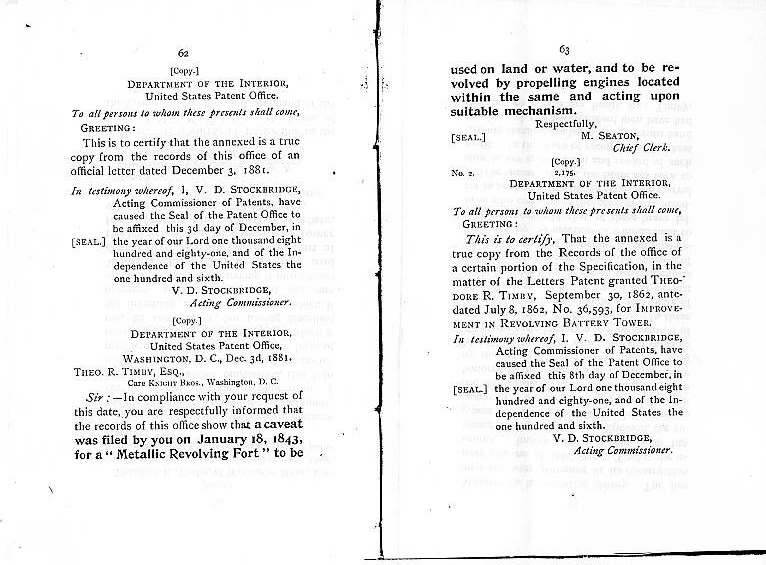 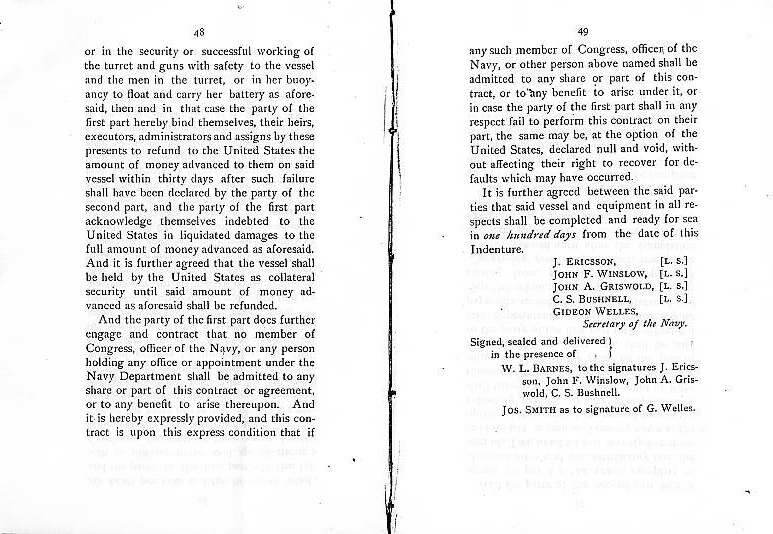 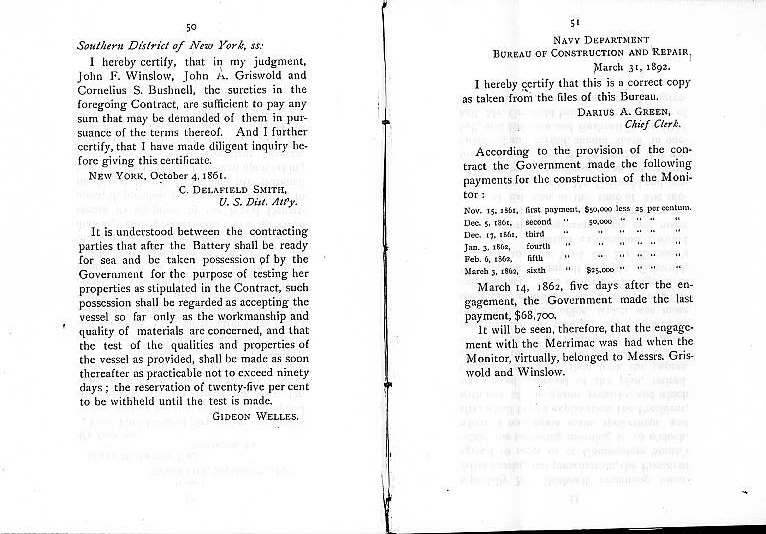 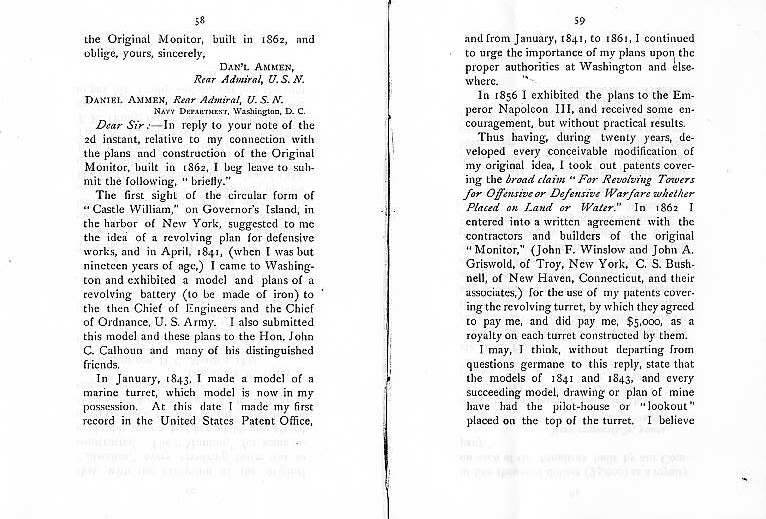 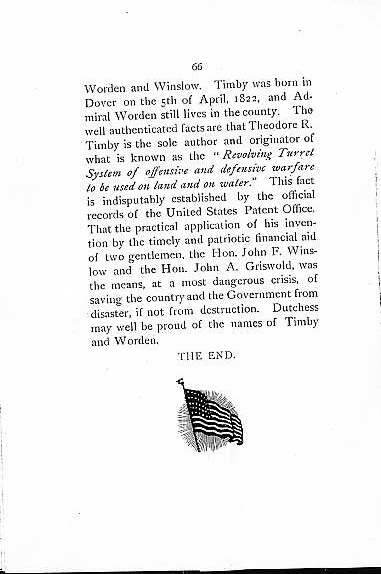 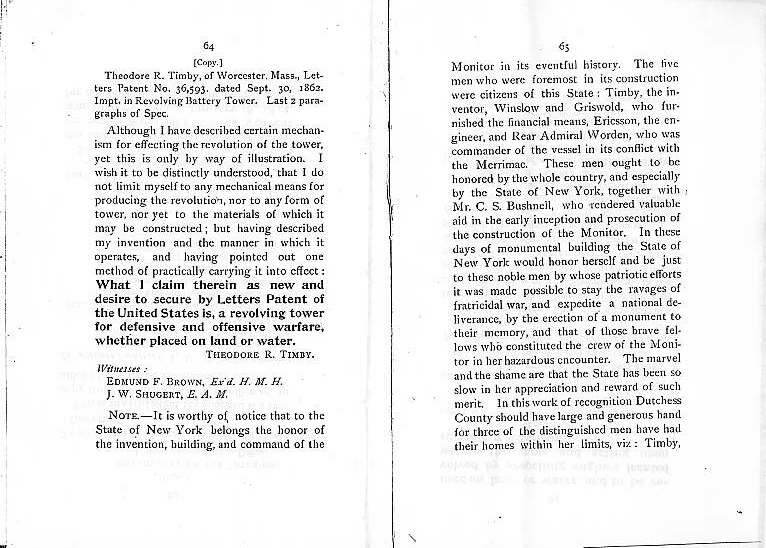 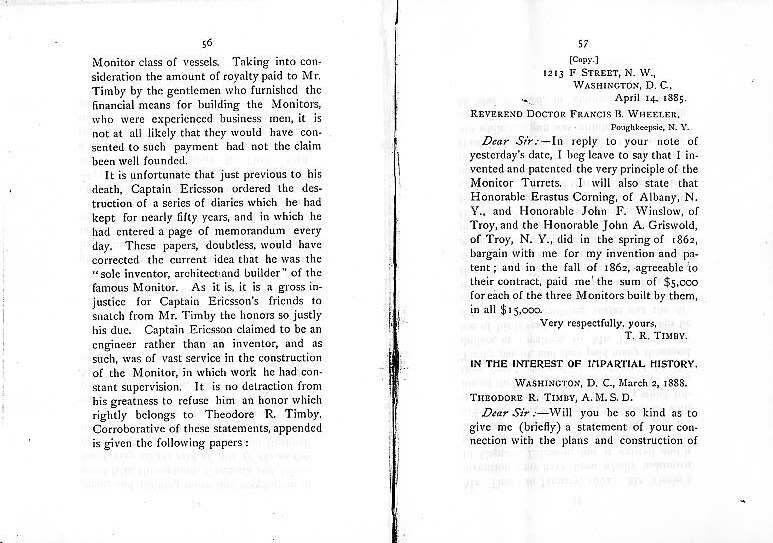 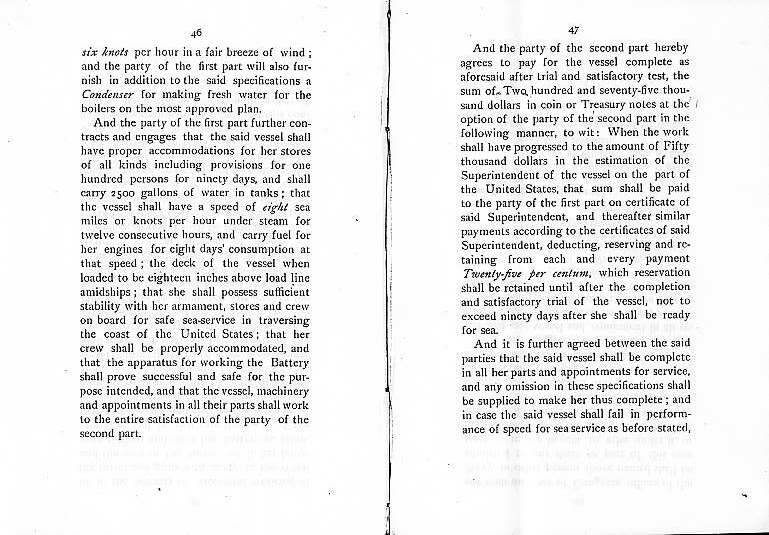 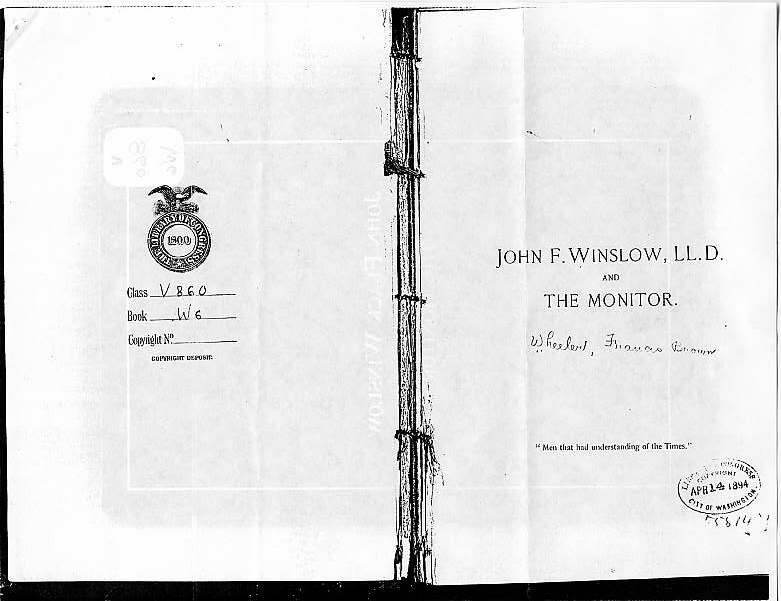 --- Contract for Construction of the Monitor, pages 44 through 49. 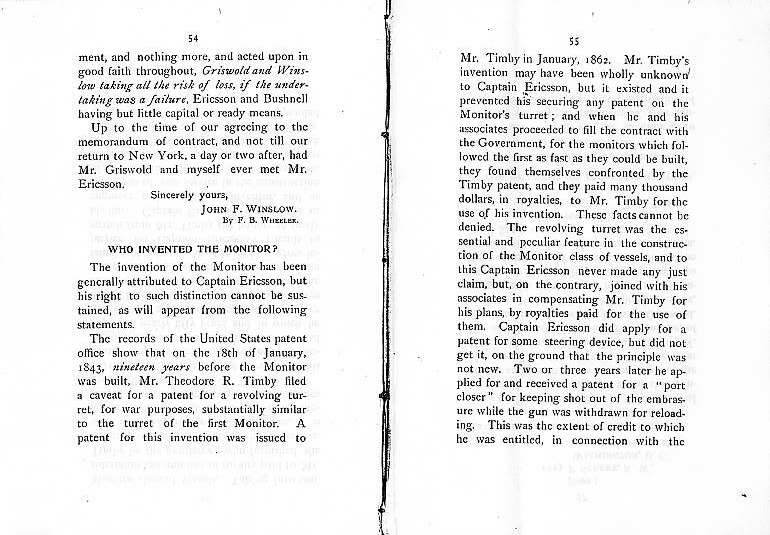 --- “Who Invented the Monitor?”, pages 54 through 57. 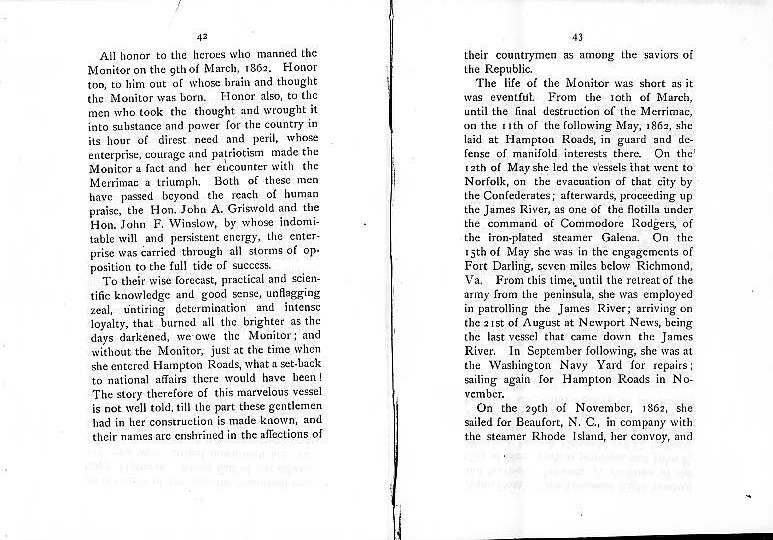 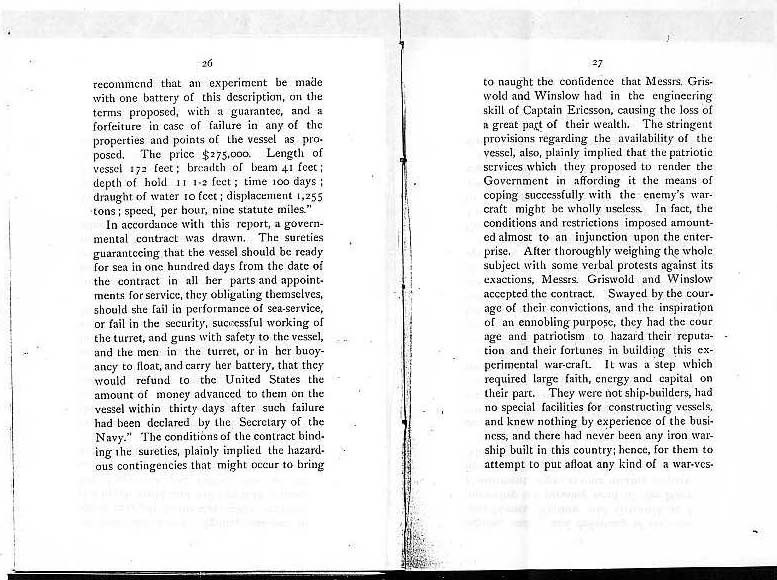 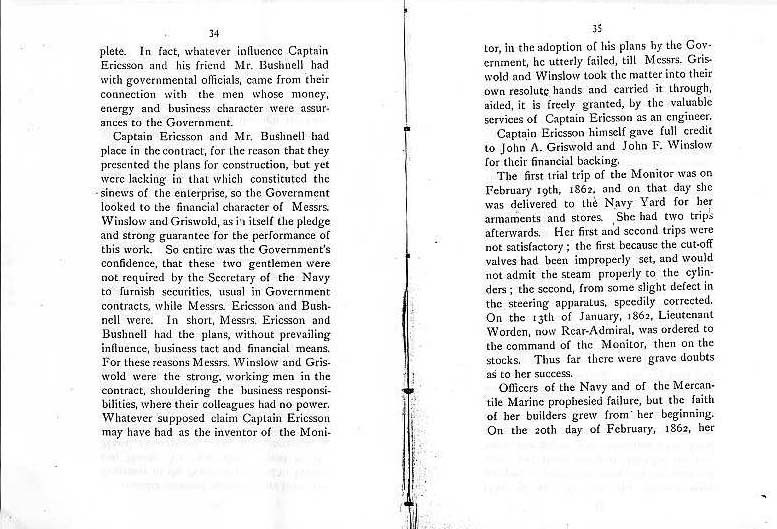 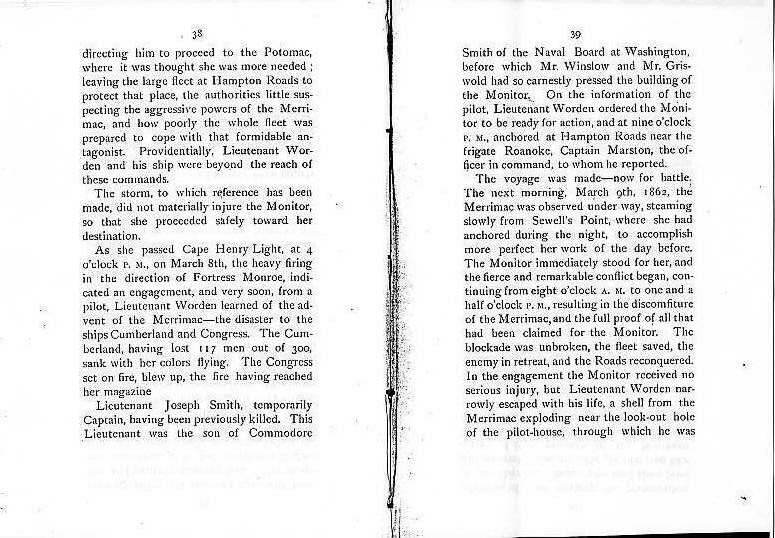 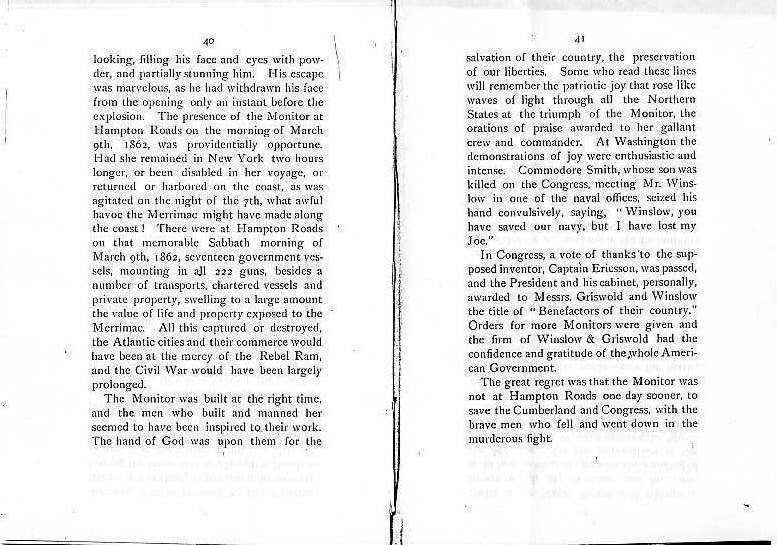 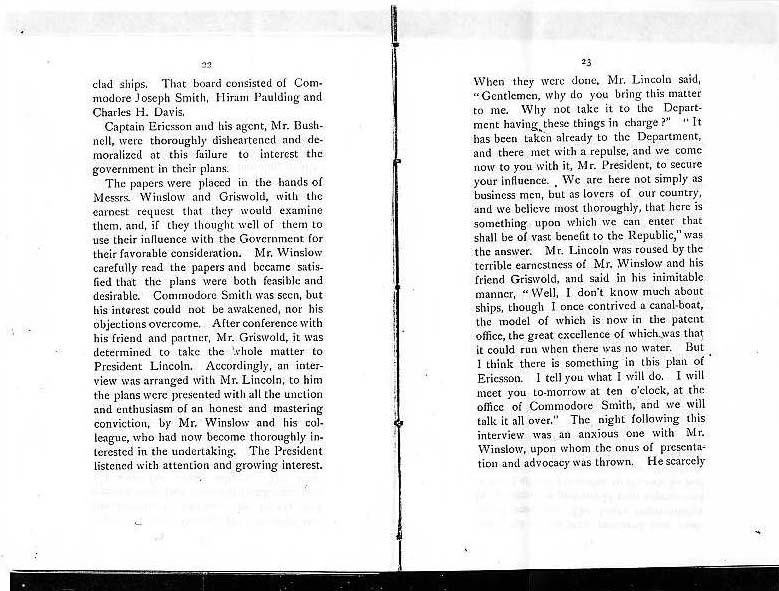 --- In the Interest of Impartial History, pages 57 through 66.